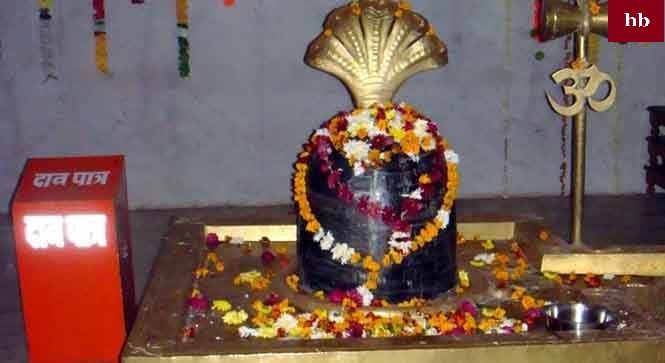 Omkareshwar Jyotirlinga Story: Omkareshwar Jyotirlinga is situated near the famous city of Indore, Madhya Pradesh. This is called fourth major Jyotirlinga of Shiv ji. In Omkareshwar, two forms of Jyotirlinga are worshiped on Omkareshwar and Mamleswar. Omkareshwar Jyotirlinga Jyotirlinga has been called 'God Ling' in Shiva Mahapurana. This is how the story of Lord Shiva appeared in this shrine or how it was established. Ji told Vindhyachal that you have everything, but Meru Mountain is very high from you. The department of the peaks of that mountain has reached the places of the gods. I think the parts of your peak will never reach there. Narada Ji went there by saying this way. Vindhyachal was very sorry for listening to him. He became sad and began to mourn his heart. He decided that now he will worship the Lord Vishwanath Lord Sadashiva and penance. After considering this, he went to the service of Lord Shankar Ji. Wherever there are people on the other side. Upon reaching that place, he happily built the Parthiv statue of lord Shiva and remained constant in his worship for six months. After worshiping lord Shiva, he became engrossed in his meditation and did not move around from his place. Lord Shiva was pleased with him after seeing his harsh austerity. He showed Vindhyachal his divine form, whose philosophy is very rare for the big yogis too. Sadashiva God happily spoke to Vindhyachal - 'Vindhya! I am very pleased with you. I give my devotees their desired glory. Therefore you should ask for it. 'Vindhya said,' Deveshwar Mahesh! If you are pleased with me, then devotee! Provide us with the desire to accomplish our work! "While fulfilling the request of Vindhyaprhat, Lord Shiva said to him, 'Parvatraj I'll give you that great brilliance. You can do the kind of work you want to do. My blessings are with you. When Lord Shiva gave Vindhya a great upbringing, at the same time some of the sages including Devgan and pure intellect and pure mind also came there. He also worshiped Lord Shankar Ji and after praising him, he said to him, "Lord! You stay permanently here forever. "Maheshwar Lord Shiva was very happy with the Gods talk. Parmeshwar Shiva, who brought happiness to the people, happily accepted the words of those Sages and Gods. The same Onkareling was split into two forms located there. Those who existed under Pranav are known as 'Onkar'. Similarly, the light which was distinguished in the Parthiv idol became known as 'God Ling'. God Ling is also called 'Amaleshwar'. In this way, 'Omkareshwar Jyotirlinga' and 'God', who gave the fruits to the devotees, Jyotirlinga became famous in the world.